As seen on TV, Peter Coyote has one of those unmistakable voices, most recently heard narrating the excellent Dustbowl documentary on PBS. Where I didn’t expect to hear his voice, but am glad that I did, was narrating one of several of Edutopia’s videos about Assessment. 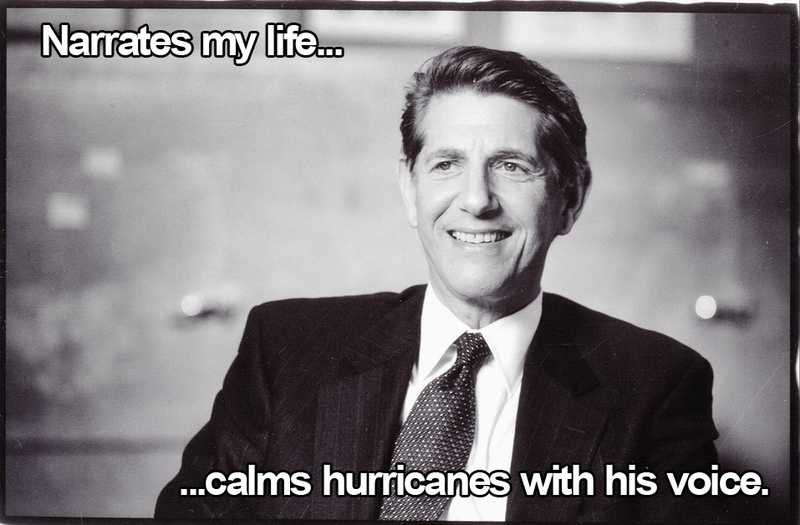 I’m not sure Peter Coyote’s voice can calm hurricanes, but I’m pretty sure it could soothe a room full of cranky retirement home residents. I was actually assigned to watch the video as a part of a course I’m taking about blended learning environments, and besides making the totally meme-worthy image above, I couldn’t help but compare it to another video that I had watched from earlier in the module about assessment in a blended learning environment. While there are countless resources, media artifacts, and website to point to for a brief look at the differences between Formative Assessment and performance-based Comprehensive Assessment, The juxtaposition of the two piece of media I was given to watch struck me as oddly humorous. For a quick overview of what Formative Assessment can be we were given an example of a teacher-created Photostory (yes, some districts still use it on aging Windows XP machines, including our district) that uses Comic Sans quite prominently. You can view it below, or on YouTube. Gotta love that awesome Photostory synth music, eh? Now transition from that overview of Formative Assessment to the much more polished video taking a look at Comprehensive Assessment (it’s professionally produced by Edutopia and has a very “PBS/NPR” feel to it). Besides the fact that the Comprehensive Assessment video includes many teacher and student voices, including footage taken from an actual classroom, the soothing voice over narration by Peter Coyote means you could gladly listen to the short 3 and a half minute video for easily 60 minutes or more on loop play. Where am I going with all this, besides an unabashed willingness to purchase anything Peter Coyote wants to sell me? Just highlighting a moment of dissonance that I experienced this weekend while trying to better myself and the way I practice my craft. Maybe there’s something deeper too….the “straw man” that Comic Sans has become and represents in the educational world can be easily overlooked and dismissed in favor of more polished productions despite the importance that of both the forms of assessment that these videos offer a glimpse of.